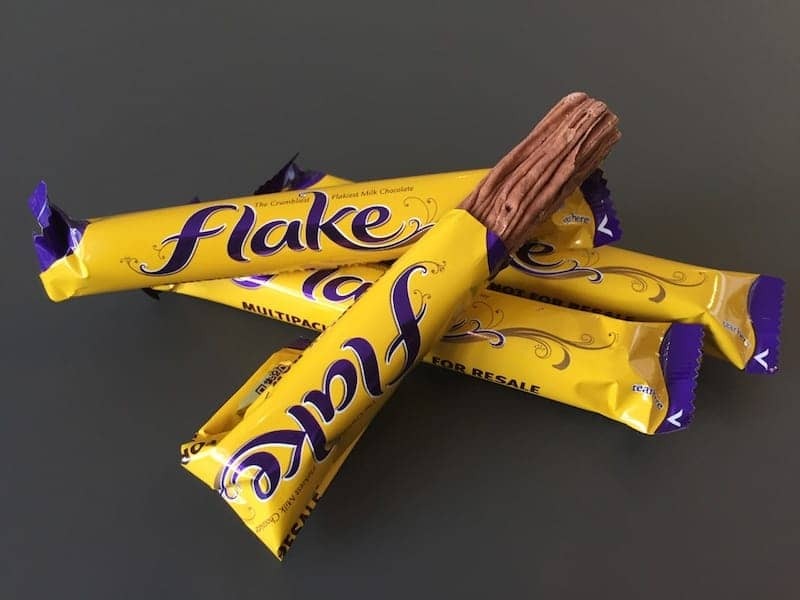 Cadbury launched Flake in 1920. The 'crumbliest flakiest chocolate' was first developed in 1920. This new chocolate bar was inspired from the flaky folded chocolate that was produced as a by-product of excess chocolate when it drained off the molds. Half size chocolate flakes are a crucial component of the '99' ice cream cones and there have been many variations on and diversifications from from the original product. The sensuous Flake Girl advertising campaigns that started in the 1970s promoted the product to new levels of popularity.